Photo Credit In 1912, three railroad companies contributed to the building of one central rail station, Tampa's Union Station. The Italian Renaissance Revival style station was listed on the National Register in 1974. Time took its toll on the Italian Renaissance Revival style building and it closed in 1984. 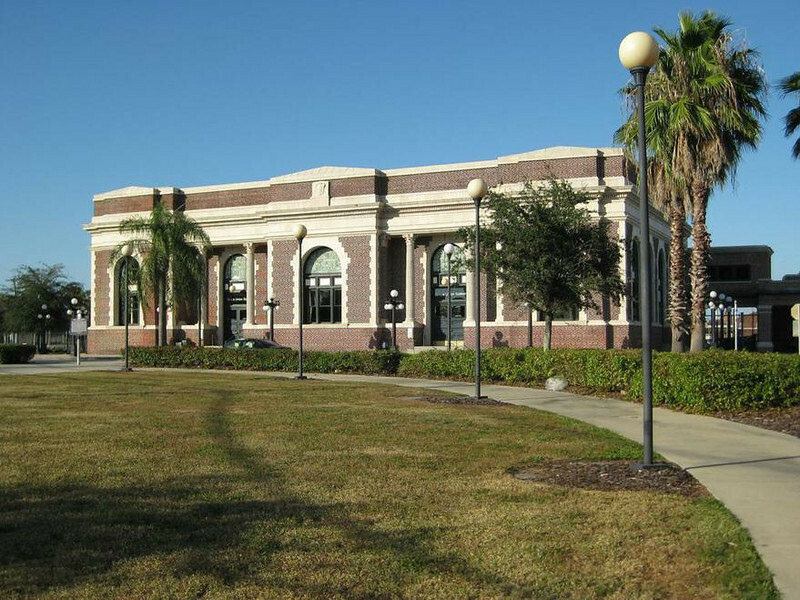 In 1987, the nonprofit Tampa Union Station Preservation & Redevelopment, Inc. (TUSPR) formed in effort to save the station from demolition. With help from the City of Tampa and other preservation organizations, TUSPR bought the station form CSX Realty in 1991. Feasibility studies determined that the renovated station could be a success if it was developed into a multi-modal transportation facility. Enhancements funds helped pay for the restoration of the building, including new plumbing, wiring, and ADA codes and requirements. The renovated station has reestablished Amtrak service--which had originally operated in the station-- as well as bus, taxi, and trolley service. The TE funded restoration of Union Station has spurred redevelopment in surrounding areas, including plans for future Enhancements projects.